We have updated The Path so it runs on Windows 10 again. 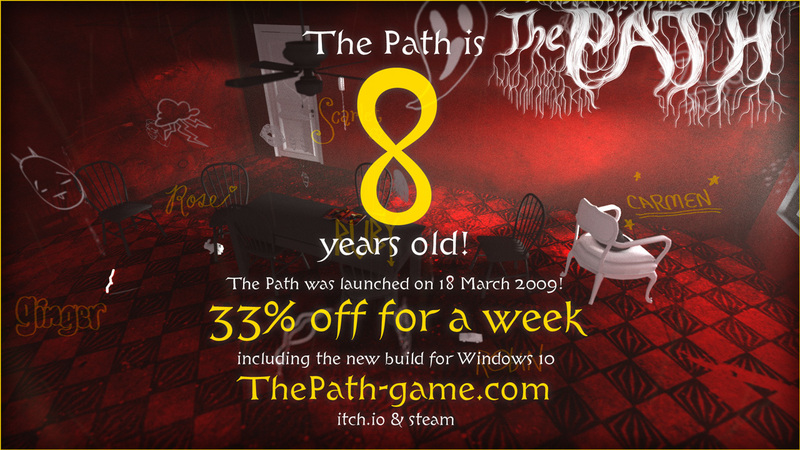 And in honor of the 8th Anniversary of The Path, we are having a sale. 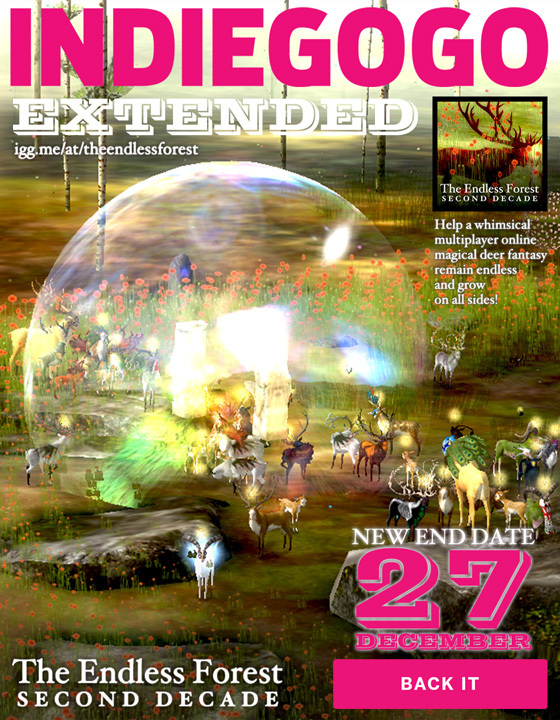 Now everyone can have adventures with Red Girls and Wolves in the deep dark woods for 30% off!